Still two months until the end of the year, but NOOR have already done a Year in Review…. This looks terrific. I need to get myself an iPad. Dedicated website to Stephanie Sinclair’s and Jessica Dimmock’s Too Young To Wed project. Saw a friend mention on Facebook that Stephen Shore just launched his first ever website…If indeed true, certainly worth visiting, no? This entry was posted in Contemporary Photography, photojournalism and tagged Agencies and Photographers, Amazon, Carlyle Group, Collective Newsletter, Contemporary Photography, Dimmock, Fifth Anniversary, Front Pag, Getty Images, Images Magazine, Ipad, James Nachtwey, Jonathan Torgovnik, Magnum Photo, Nairobi Kenya, Photo Newsletter, Photographer, Photographers, Photographs, Photography., Production Photographers, Project Newsletter, Project Photo, Terra Project, Trayler, Vii Photo on October 29, 2012 by Mikko Takkunen. This entry was posted in Contemporary Photography, photojournalism and tagged Agencies and Photographers, Aletheia, Camarda, Carolyn Drake, Contemporary Photography, Felber, Juan Delgado, Kickstarter, Magnum Photos, Manuel Vazquez, Photo Guy, Photographer, Photographers, Photographs, Photography., Piscitelli, Ponomarev, Sally Ryan, Sarah Elliott, Seamus Murphy, Sean Hemmerle, Shoul, Stuart Matthews, Tocci, Vii Photo, Whitehill on August 14, 2012 by Mikko Takkunen. This entry was posted in Contemporary Photography, photojournalism and tagged Agencies and Photographers, Aletheia, Camarda, Carolyn Drake, Contemporary Photography, Erin Siegal, Farlow, Felber, Juan Delgado, Kickstarter, Magnum Photos, Manuel Vazquez, Photo Guy, Photographer, Photographers, Photographs, Photography., Piscitelli, Ponomarev, Sally Ryan, Sarah Elliott, Seamus Murphy, Sean Hemmerle, Stuart Matthews, Vii Photo, Whitehill on August 14, 2012 by Mikko Takkunen. Let’s start with the unexpected news coming from Getty Images: Eugene Richards, the celebrated documentary photographer, has left the Reportage agency. Richards used to be with Magnum Photos but left twice. He was also with VII Photo for a couple of years, and had joined Reportage in 2010. On the subject of Getty Images, they announced a few things these past few weeks. PDN Pulse: Getty Images Preps for IPO? An interesting development in the photographic and multimedia markets, Brian Storm has started charging for some of MediaStorm’s presentation. Rite of Passage by Maggie Steber and A Shadow Remains by Phillip Toledano are the first two pieces to test MediaStorm’s Pay Per Story scheme. Each story can be bought for $1.99. And when we’re on the subject of VII Photo, they have also added four young photographers to their mentor programme. A Photo Editor: How does a photographer land an agent? The Marie Colvin Memorial Fund. This entry was posted in Contemporary Photography, photojournalism and tagged Articles, C Ontroversy, Contemporary Photography, David Campbell, Documentary Photographer, Eugene Richards, Getty Images, Maggie Steber, Magnum Photos, Mediastorm, Multimedia Markets, Personality Traits, Photo Agencies, Photo Buyers, Photo Editor, Photo Editors, Photographer, Photographers, Photographs, Photography., Quality Journalism, Rite Of Passage, Ron Haviv, Story Model, Toledano, Vii Photo on June 17, 2012 by Olivier Laurent. Olivier writing here. This is my first post for Photojournalism Links. I’ve been a long-time follower of Mikko’s work, which has, over the years, proved to be an amazing resources for photojournalists and photo editors. It’s my pleasure to help Mikko update and develop the site further, and we’re already planning new things for the site. Stay tuned. First things first, if you happen to be in London this coming week, head for the Frontline Club, which is holding a series of photography events, including VII Photo’s seminar (Hint: if you’re looking to buy the agency’s latest book Questions Without Answers, you’ll get the opportunity to get it signed by a lot of the their photographers!) Reportage by Getty Images will also be there with a couple of events, including a discussion with Peter Dench, Tom Stoddart and Aidan Sullivan. Finally, on 24 May, there’s the Panos Pictures Networking Party. Washington Post: Vogue’s flattering article on Syria’s first lady is scrubbed from Web. The images used by Vogue were shot by James Nachtwey. A copy of the article is hosted by a website called President Assad here. In the Washington Post’s article, it’s mentioned that Assad’s children aren’t actually his but decoys planted for security reasons. Examiner: The picture of dishonesty: social media slaps down a wedding photo faker. Walk Your Camera: Perpetuating the Visual Myth of Appalachia – or how a photographer reacts to a very bad edit, done by CNN, of her work. Martin Parr: Too Much Photography. Photobooth at The New Yorker: Will Steacy’s Photographs Not Taken continues to make the rounds, this time with The New Yorker publishing Nina Berman’s story of Cathy, who she met in London in the 1990s. PBS: Photojournalists Scramble to Video. Is it worth it? “Video storytelling is different in execution than still photography, without a doubt. But it has been well-established that very talented still photographers can make the transition back and forth between the media and enhance their visual reporting,” says Sean D. Elliot, president of the National Press Photographers Association. A Photo Editor: Is it Time to Eliminate Stills From Your Shoot? BJP: Lange-Taylor Prize Gets a Facelift, relaunches in 2013. NYT Lens: Benjamin Lowy: Virtually Unfiltered. The article that brought back the whole Hipstamatic debate on the table. Conscientious: On the Hipstamatic Journalist. Joerg Colberg wonders how The New York Times can publish Hipstamatic images without it violating its strict rules about photo manipulation. NYT: Lomography, an Analog Company Surviving in a Digital World. Time Lightbox: Lomography and the “Analogue Future”. San Francisco Chronicle: Hipstamatic Founders Lucas Buick, Ryan Dorshorst. An interview with the founders of the controversial app, and their plans for the future, including the release of an iPad magazine with interviews of star photographers using Hipstamatic. Slate: In Defense of Instagram: Why News Photography Goes Well With Vintage-Filtered Cat Pic. An older article (March 2012), but felt it was needed in this context. PetaPixel: IKEA Cardboard Camera Called KNAPPA To Land on Store Shelves Soon. Even Ikea is going into the cheap digital camera market. 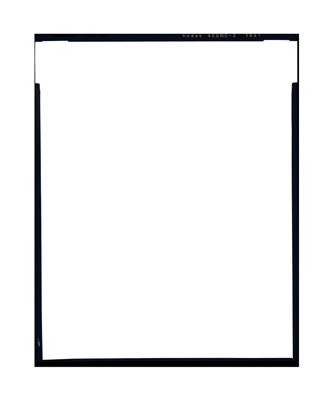 BJP: New app bring lossless “developed raw” images to the iPhone. Even about Instagram and Hipstamatic. Last week, there was an auction to help the family of Anton Hammerl, who was killed in Libya a year ago. 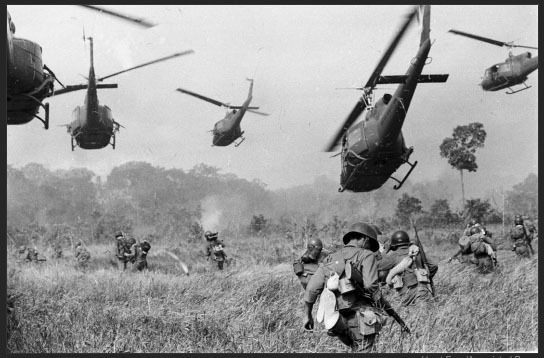 BBC: War photographer Anton Hammerl remembered at auction. A video of the auction and interviews with family, friends and colleagues. NYT Lens: At Christie’s, an Auction for Anton. Time Lightbox: Robert Capa, Friend of Anton. 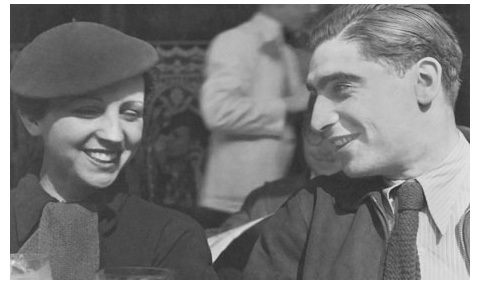 The Guardian: Robert Capa and Gerda Taro: love in a time of war. In Spain, Capa soon developed a reputation for taking photographs whatever the risk, setting the tone for war reportage as we now know it. Taro, too, was often seen running across the battle lines with her camera, her bravery matched by her recklessness. She travelled back and forth to the frontlines, shooting what she saw, often driven by a mixture of humanity, political commitment and a shrewd understanding of the power of the photograph to shape public opinion. Time Lightbox: Overseas Press Club Award Winners Announced. Including the Robert Capa Gold Medal Award, which went to André Liohn. Channel 4 News: Death in a time of life. Jon Snow remembers Marie Colvin, who was killed in Syria earlier this year. NYT Lens: Parting Glance: Horst Faas. Photo by Horst Faas / AP Photo. PDN: Horst Faas, AP Combat Photographer, Dies age 79. Panos Pictures: Robin Hammond Released From Prison in Zimbabwe. After being held for two weeks in Zimbabwe, Robin Hammond has been released and is back in Paris, safe and sound. I’m looking forward to seeing the images he came back with after spending two years documenting this country. NYT Lens: A Ride Cloaked in Secrecy. I love this kind of articles, giving us a behind-the-scenes look at the news, especially when it has a West Wing kind of vibe. Here, we get the background on how a photographer reported on President Obama’s secretive trip to Afghanistan. 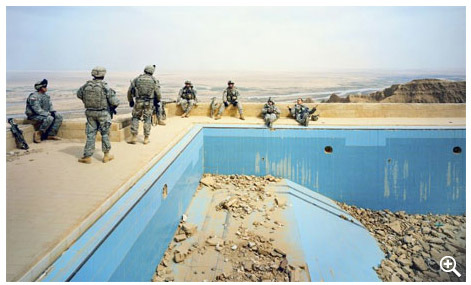 The Guardian: What happens when a photojournalist travels to revisit his subjects? NYT Lens: The Eddie Adams Workshop’s 25th Year. NYT Lens: Touring the Nanny-Photographer’s Past. Yet another article about Vivian Maier. Chicago Tribune: The Great John H. White. Firecracker: Olivia Arthur. 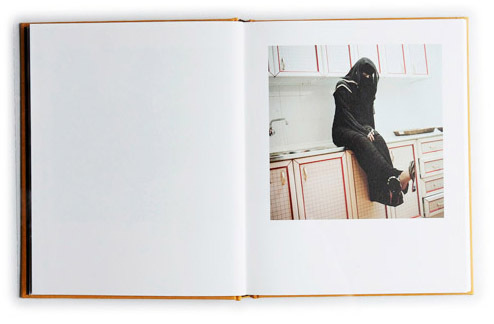 Chosen for her excellent Jeddah Diary, the photographer’s first book. The Guardian: Richard Mosse’s best shot. Photo by Richard Mosse / Institute. The Guardian: Saatchi captures the confusion of contemporary photography. Wall Street Journal: The Surreal Selling of Man Ray. PhotoShelter: Photography Through the Eyes of Art Directors. PhotoShelter: The 40+ Items Every Photography Assistants Needs Now. Time Lightbox: Fight for Your Right: Resources for Photographers Covering Protests (note: it’s mainly for US-based photographers). Nancy L. Ford Blog: Why NOT to give away your copyrights. BJP: More than $120,000,000 at stake in AFP v. Morel case. The Russian Photos Blog: Agence France Presse vs Morel: “AFP Got Caught With A Hand In The Cookie Jar And Will Have To Pay” Out of 200 pages of legal documents filed by both Daniel Morel and Agence France-Presse / Getty Images, this sentence, written by an AFP employee is by far the one that caught the attention of the industry. I’ve used it in my standfirst as well, and A Photo Editor picked up as well. BJP: Leica introduces a black-and-white digital M9 camera. And to finish, a 100-minute documentary about Helmut Newton from Frames From The Edge. Of course, it’s best watched in full-screen. And a 60-minute interview with Michele Hadlow, Forbes’ Senior Photo Editor on How to Shoot Powerful Portraits of Powerful People. This entry was posted in Contemporary Photography, photojournalism, Uncategorized and tagged Amazing Resources, Articles, Book Questions, Cnn, Contemporary Photography, Dench, Getty Images, James Nachtwey, Networking Party, Nina Berman, Photo Editors, Photobooth, Photographer, Photographers, Photographs, Photography Events, Photography., Photojournalists, President Assad, Questions Without Answers, Time Follower, Tom Stoddart, Video Storytelling, Vii Photo, Washington Post, Wedding Photo on May 19, 2012 by Olivier Laurent. From NatGeoMag March issue… Ed Kashi from Marseille, France…. Ed Kashi: Marseille’s Melting Pot (NGM) Edit on VII Photo. Surprised to see it there already. I would imagine there’s an embargo since NGM is still on the newsstands. New York Times Magazine has a special photo issue on London coming up this Sunday…A lot of the work can be seen online…Would love to get my hands on the hard copy… Know a newsagent in Soho that usually get Sunday’s NYT on Tuesday…Costs £10 though…. Canon USA has done more interviews with VII Photo members… John Stanmeyer looking rather mad-professor-y..
New Statesman’s photo editor Rebecca McClelland interviewed Don McCullin…. R.I.P. Anthony Shadid. Such a great journalist. Big congratulations to Samuel Aranda for his World Press Photo of the Year! BJP: World Press Photo: Does the winning image reference Michelangelo’s Pietà? BJP: World Press Photo: What was missing from this year’s entries? Congrats to all the photographers chosen for this year’s PDN 30! Redux Pictures: John Keatley and Arts Aftercare needs your help! New Tumblr blog “The Brazilian Far West” by Sebastian Liste…. This entry was posted in Contemporary Photography, photojournalism, Uncategorized and tagged Contemporary Photography, Degner, East London, Ed Kashi, Jehad, Marseille France, Melting Pot, Monteleone, Nahr, Nyt, Photo Issue, Photographer, Photographers, Photographs, Photography., Port Au Prince, Poyi, Refugee Camps, Special Photo, Stillborn, Stirton, Turnpike Lane, Vii Photo, World Press Photo, York Times Magazine on March 3, 2012 by Mikko Takkunen.